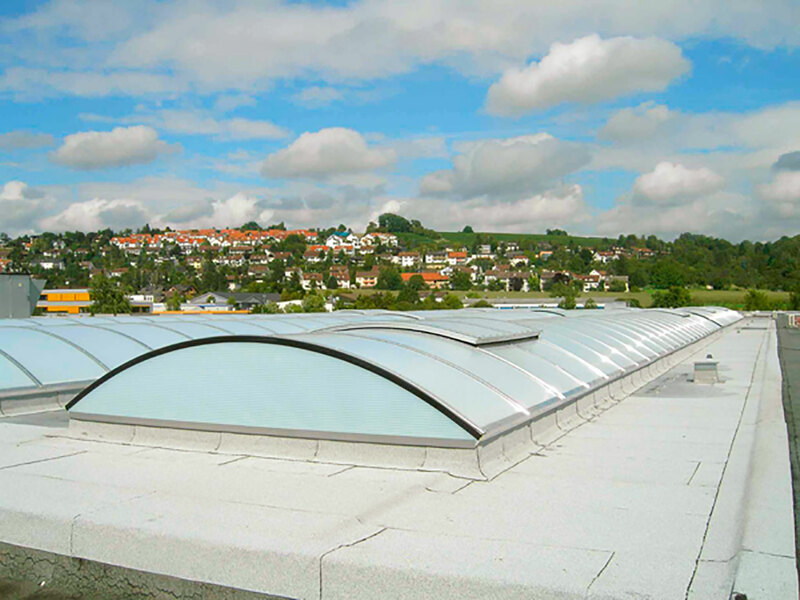 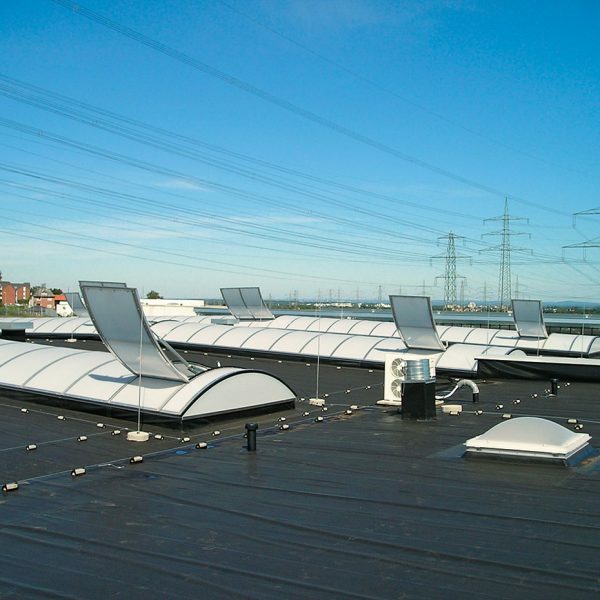 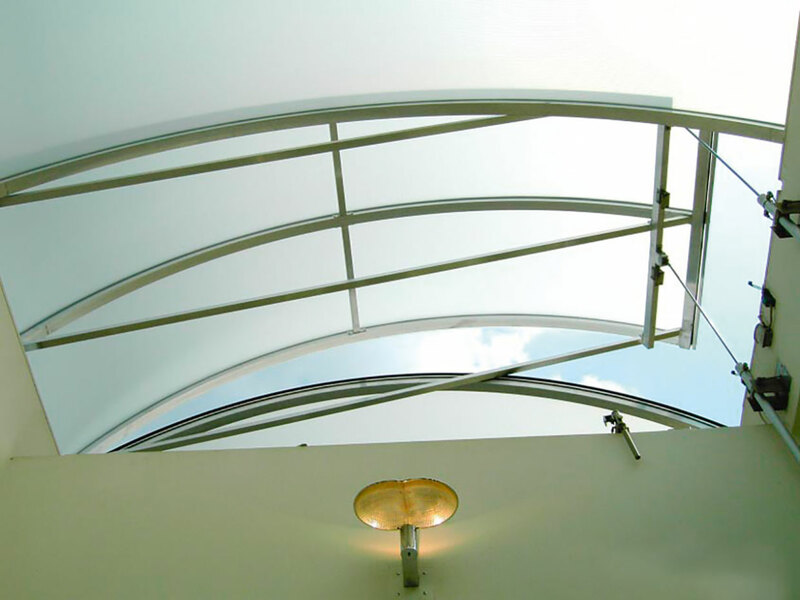 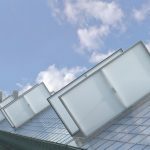 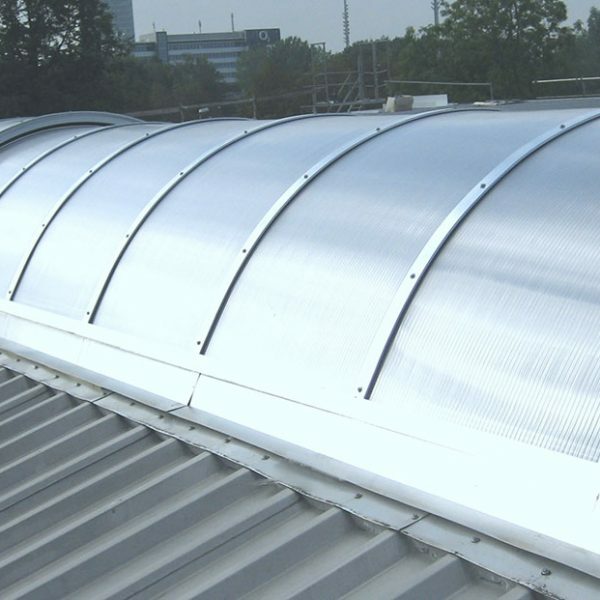 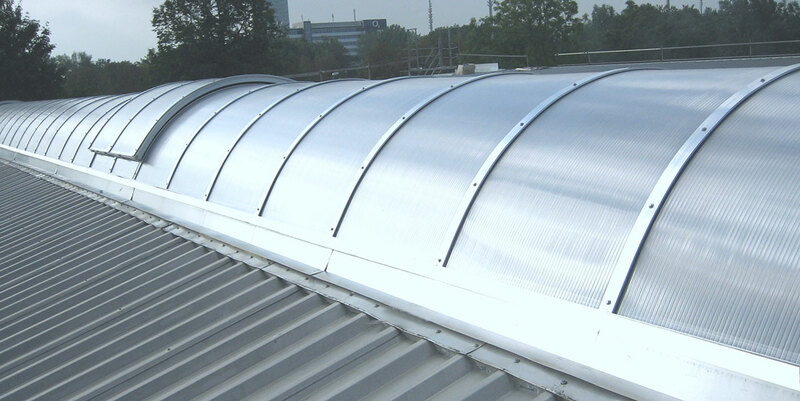 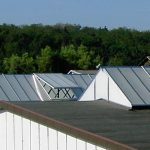 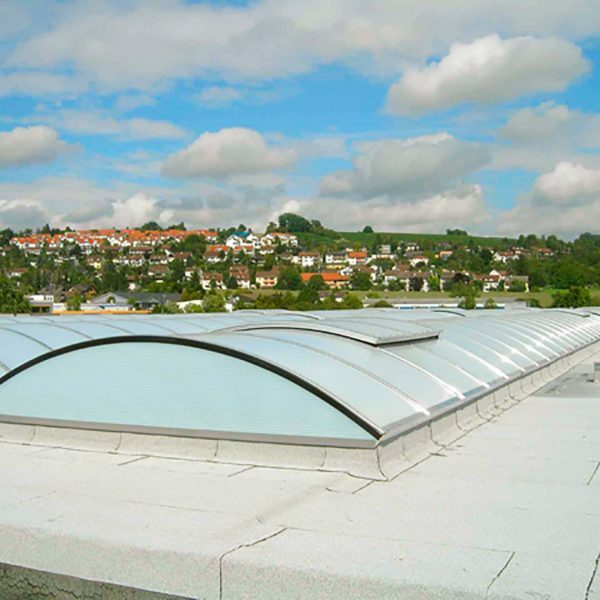 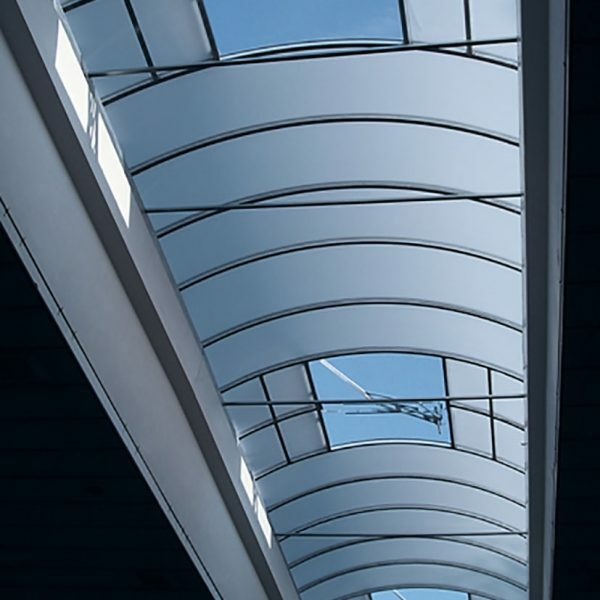 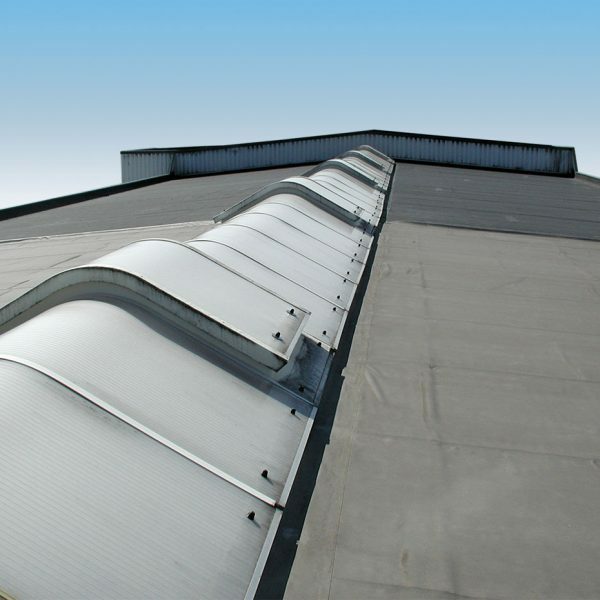 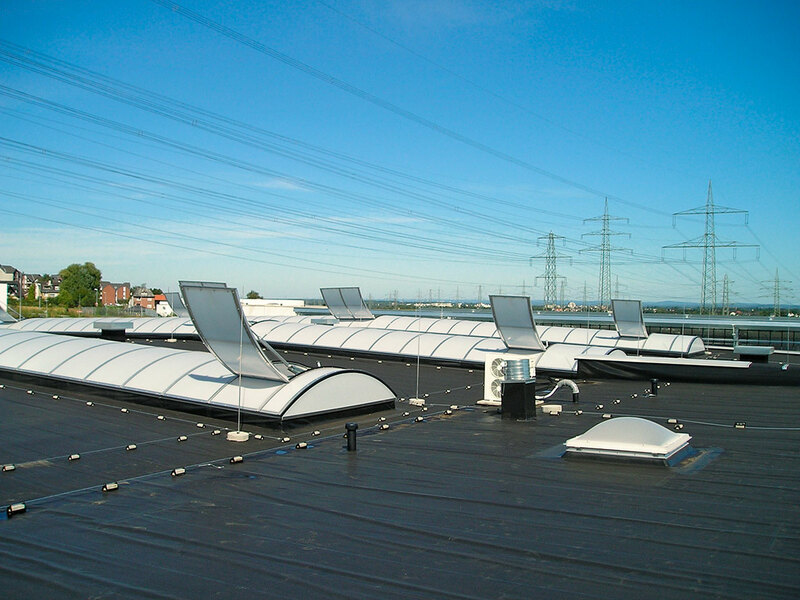 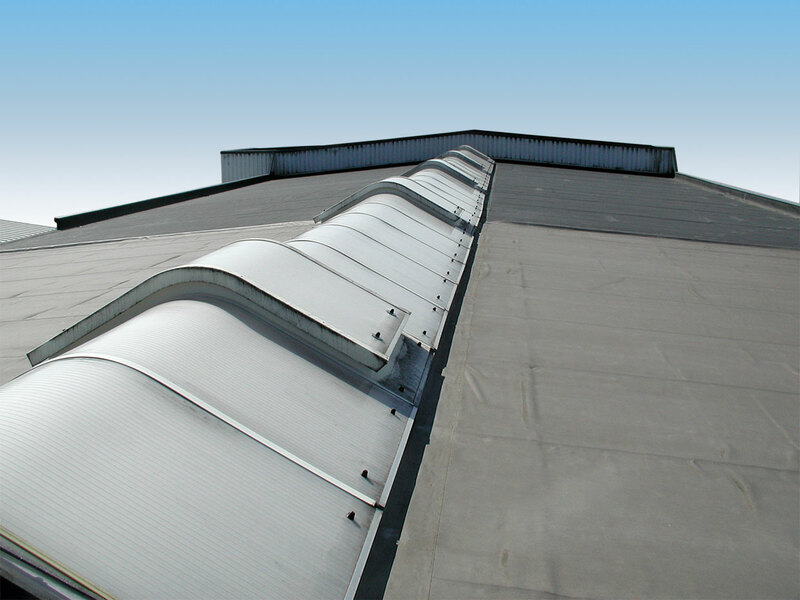 Nauheim Rooflights are manufactured in domed form with various radii (pitch), depending upon the span. 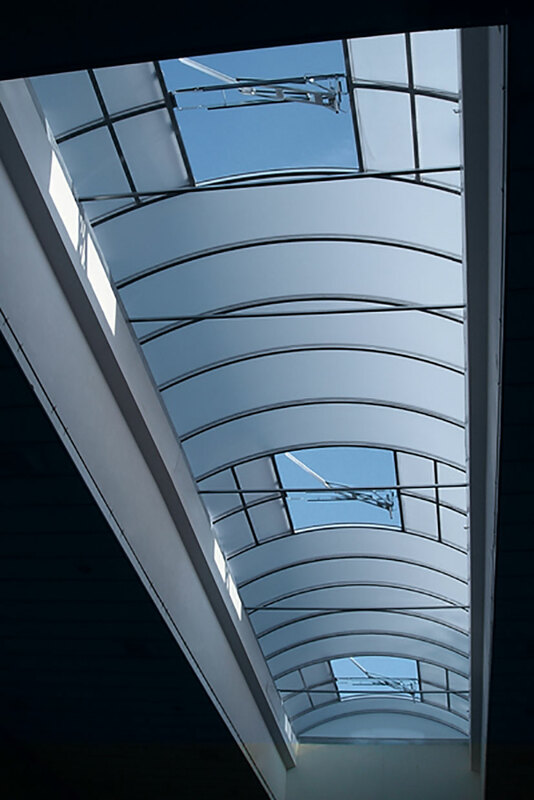 The skylight width is also variable. 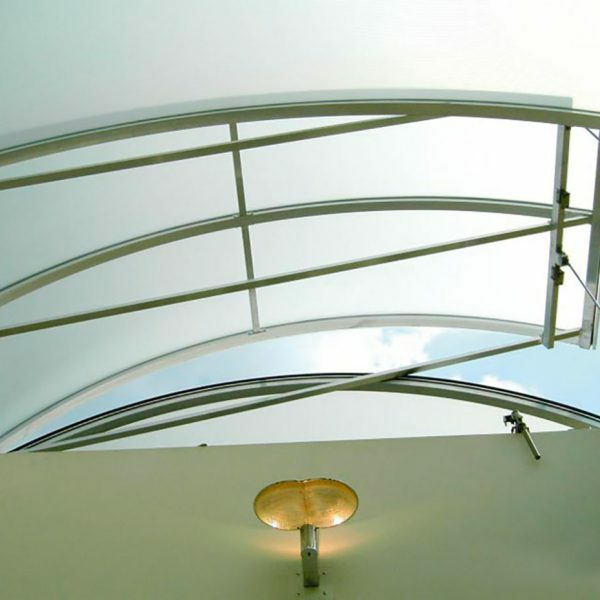 The grid width is 1.06 m.
The supporting structure consists of slightly curved, barrel-shaped polished, natural aluminum runs of AlMgSi and glazing beads with EPDM gaskets, which are connected to one another with stainless steel screws.